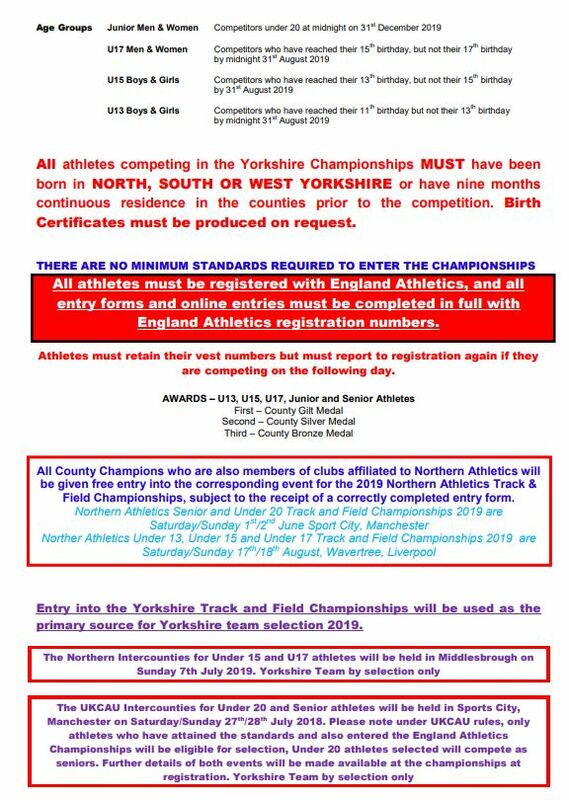 Please note the Senior athletes field results are not available yet, these will be available in the next few days. Well done to James Osborne for running a new PB of 57:53, he finished the race in 12th place. This means Jimmy entered our all time top ten in 5th place, a great result. Darren wrote “Thank you to everyone for your kind words of encouragement. I tried my best (although knowing it was going to be difficult after a 3 day stomach bug!!!). All went well and then the cramps took over & could barely run 200m in the last 5 km. but I made it and so pleased I did” Darren finished with a time of 3:25:40 which is a great time considering he was unwell. 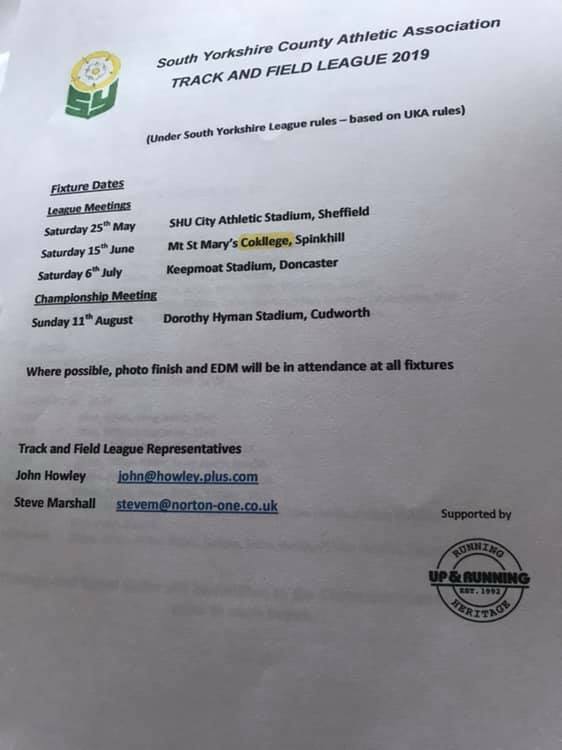 Saturday and Sunday 11th and 12th May 2019 at the Dorothy Hyman Stadium, Cudworth. Click here for details. Entries close 28 April so do not miss out. Click here to Enter. 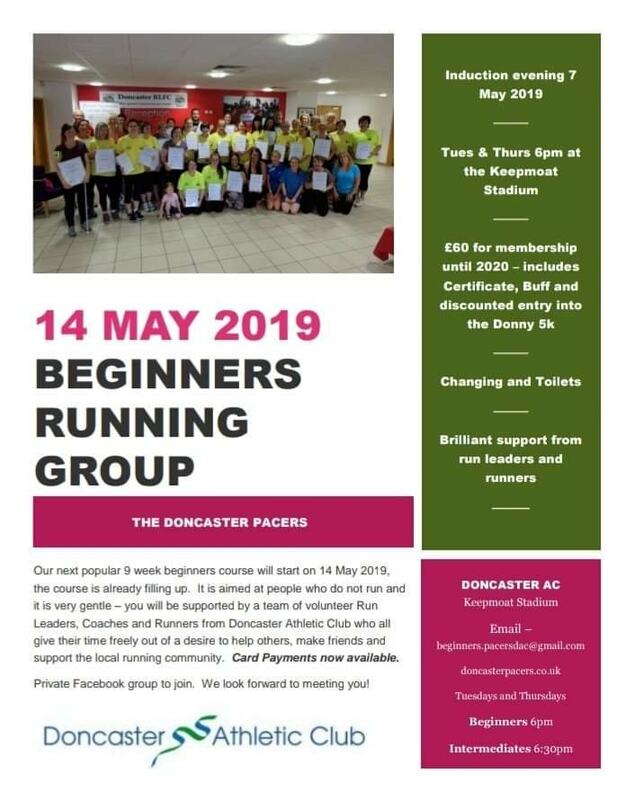 Please see the below poster for details of our next beginners running course (aimed at complete beginners). Please share it with anyone who may be interested, come and keep fit and make some new friends. More details here. email beginners.pacersdac@gmail.com to reserve a place. Lots of hard training and great execution of the race got our athletes some brilliant times. Great running by Kevin Newman who finished 2nd in the V60 masters competition with a chip time of 37:43. 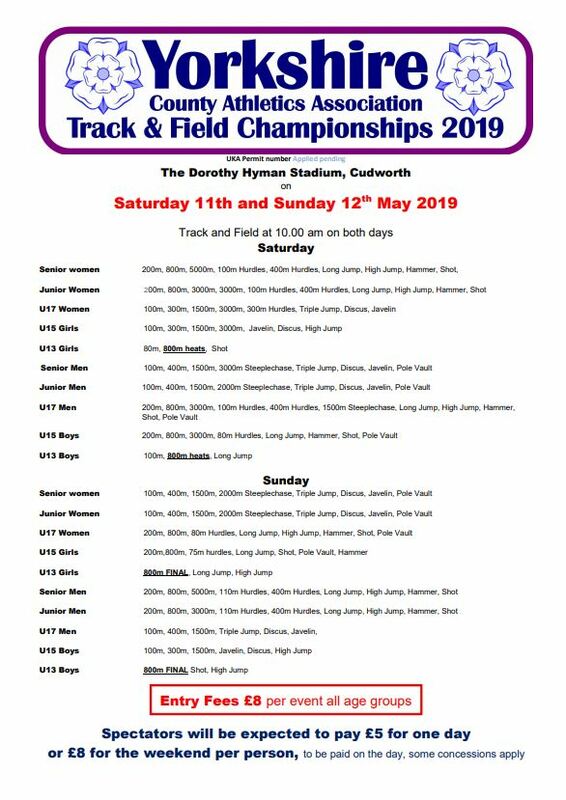 The track repairs are scheduled to start on Tuesday 7th May, the whole site will be power-washed and significant parts of the track and red areas re-sprayed. The work should be completed within four days, however it is dependent upon dry weather and low winds. So far the long range forecast is good but if work is delayed they will work over the weekend 11th and 12th May. 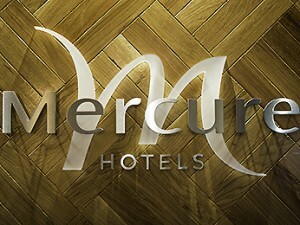 THEREFORE AT THIS STAGE THE SITE WILL BE CLOSED TO EVERYONE FROM TUESDAY 7TH MAY TO SUNDAY 12TH MAY TO RE-OPEN MONDAY 13TH MAY. 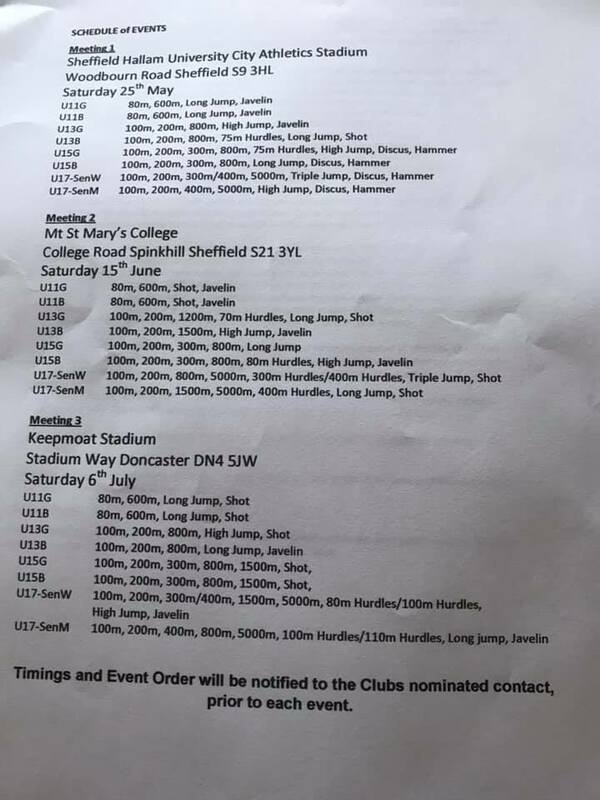 Herringthorpe Track at Rotherham has been booked from 6pm to 8pm on Tuesday 7th and Thursday 9th May, for our use paid for by the Club. This message will be posted onto the club facebook site. An additional lock will be placed on the gate near the bins. Please honor this request as plant machinery will be in use across the site.